Wearing his purple. 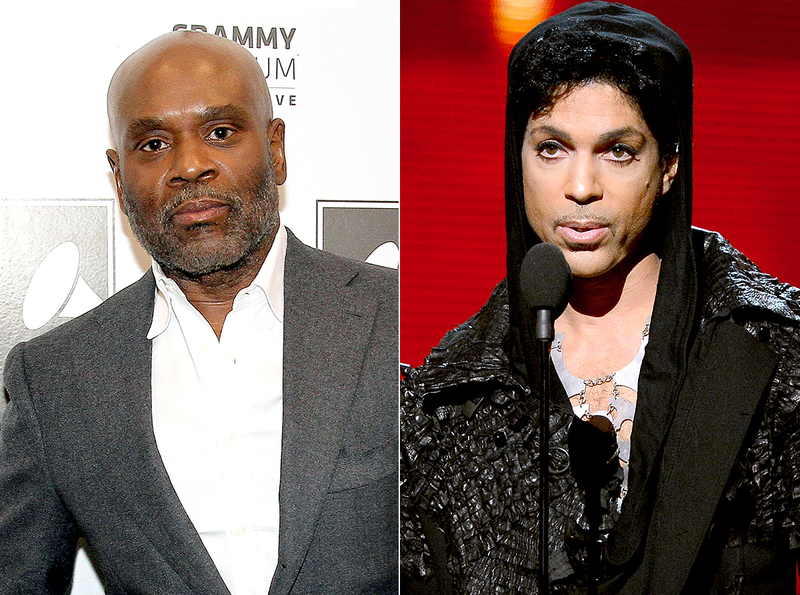 Famed music executive L.A. Reid mourned his close friend Prince on Friday, April 22, and said there was something very unsettling about the late artist&apos;s sudden death at age 57 on April 21. "I&apos;m still in shock," Reid, 59, told the Today show on Friday. "I spent the day yesterday just listening to Prince, and for whatever reason, it sounded even better. What a great guy. … I&apos;ve always said it: the greatest at everything — playing, writing, composing, fashion, everything. [He had] the masculinity of Teddy Pendergrass, but he could take your girl [while] wearing high heels." Reid, the CEO of Epic Records, opened up about his close friendship with the late musician, and shared some insight on what Prince was like behind closed doors. Reid said Prince&apos;s public persona was theatrics and mystery, but in private quarters, the "Purple Rain" singer was actually quite the talker. His talent was exemplified especially as he played different types of instruments. "That&apos;s the most difficult thing," Reid noted on Friday. "That means you&apos;re playing them one at a time. So that means he&apos;ll put his drum track down first, and he&apos;s playing an entire song while he&apos;s hearing it in his head, then come back and lay the bass, then come back and lay the piano, and then lay the guitars. … It&apos;s impossible. No one can do this." Reid concluded the segment on Friday by telling Savannah Guthrie and Matt Lauer that Prince&apos;s sudden death was baffling. "The thing that really bothers me about it is the Prince I know was, like, superhealthy," he said. "Vegan, wasn&apos;t an abuser of drugs, wasn&apos;t an abuser of alcohol, you know. He lived right, and he was clean. He looked young, he looked really healthy and vibrant. So the whole thing is really mysterious to me." Prince died at his Paisley Park studio in Chanhassen, Minnesota, on Thursday. His autopsy will be conducted Friday, April 22.